A badge of honor for those that love to bake! 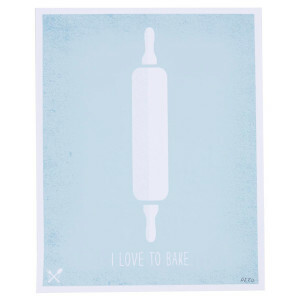 As seen in Max and Caroline’s cupcake bakery in 2 Broke Girls, this fun and whimsical poster is an essential for anyone who enjoys baking. The charismatic designed poster is a quality piece of art in that it is hand silkscreened on smooth cover stock paper, making each print different, and one of a kind.